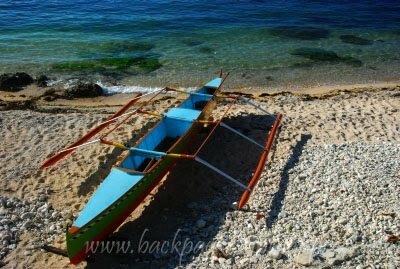 Due to the problem encountered, he opted to go straight to the next Ilocos Sur "tourist spot" on his list: Apatot Beach, San Esteban town. This time, was able to find the right road to turn to with locals who directed him to the two beach resorts plus the modern lighthouse beside a barangay hall. 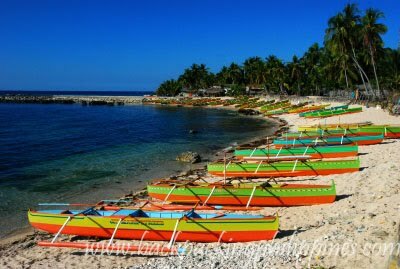 Listed by Ilocos Sur Tourism office as a come-on for tourists, Tutubi finds it ordinary and not worth your time if you come from faraway Manila. It's a nice picnic place for locals though where the usual palce to stay at nearby beach resorts and while away time with the videoke machine at full blast. that they cater mostly locals. No swimming pools sighted. Town Hall served as USAFIP, NL hospital). The old historical marker that was washed away states: "
Filipino regiment. The landing was effected by USAFIP-NL under Col.
War II were all fake custom-made to glorify himself. Such vainglory! National Historical Commission of the Philippines (NHCP, formerly NHI). wow, may history notes pa! i don't know but i always like pictures of boats nicely captured. I think Apatot beach has its pros in the sense of it historical value, but based from your review, it is quite under developed and the probably not commercial. I think for people looking into dwelling in a more quiet type of beach, this is suited. Otherwise, I am positive other beaches in the area are way better. Did Pres. Marcos fight w/ you during the war?